Uijeongbu, South Korea (August 14, 2018) — The 2nd Infantry Division/ROK-U.S. Combined Division Unit Ministry Team held a 2018 Victory Prayer Luncheon in honor of Korean Liberation Day and Victory in the Pacific Day at Mitchell’s Grill Aug. 13. “This is a two-part celebration as we commemorate the U.S. victory in the Pacific, which ended World War II and the liberation of Korea from imperial Japan rule,” said Chaplain (Lt. Col.) Hyeonjoong Kim, 2ID/RUCD command chaplain and Seoul native. 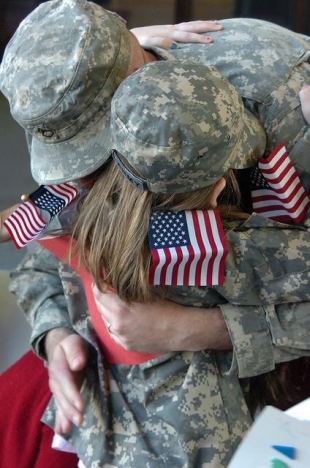 “We reflect on the spiritual fortitude of our Soldiers who made the ultimate sacrifice in support of the nations,” he added. 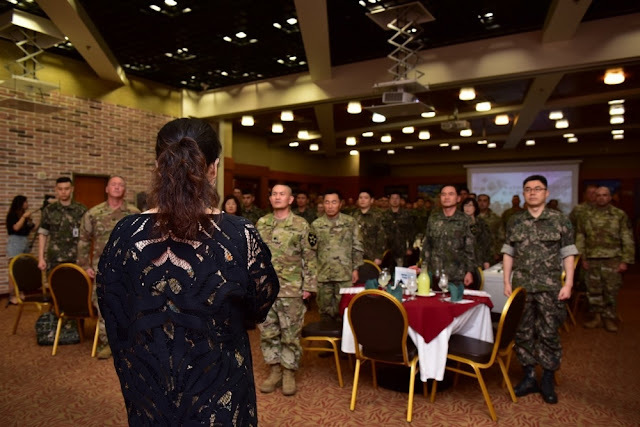 Following singing of the Korean and American national anthems by Ms. Song Ok Namgung, a contemporary Christian jazz singer, Headquarters and Headquarters Battalion Chaplain (Capt.) Steve Love and Republic of Korea Army Chaplain (Capt.) Byungki Lee, 16th Mechanized Brigade gave the invocation in English Korean, respectively. Chul Kim’s remarks resonated with Sgt. Nichole L. Olson, intel analyst and Beech Grove, Indiana native, who was inspired to attend future events as she enjoyed the communal atmosphere of the luncheon.